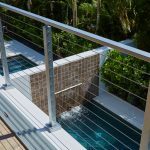 Located off the sunny coast of Florida, this balcony project showcases everything we love about cable railing. 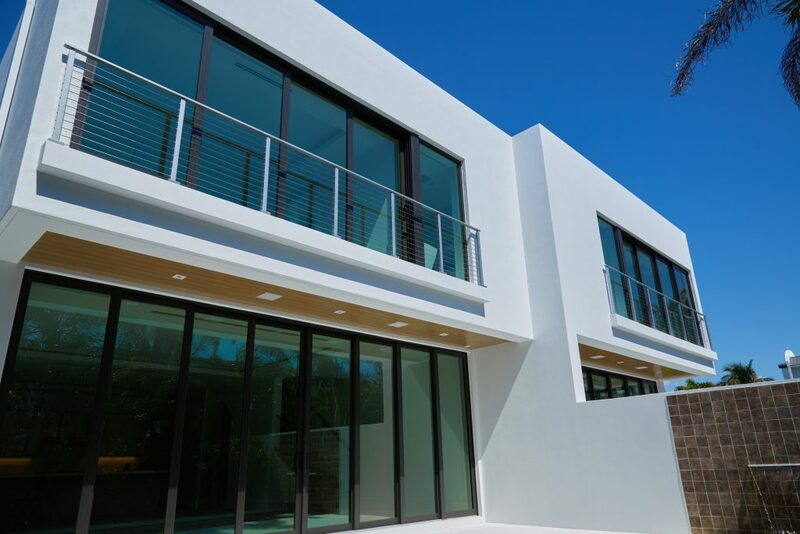 Thanks to its natural strength and architectural integrity, these owners can rest at ease, knowing that their guests will be safe while they enjoy the scenery. 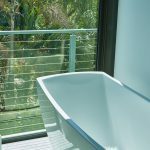 Even better, the thin shape of the railing blends seamlessly into the horizon, while concealed hardware and well spaced posts keep the views clear. 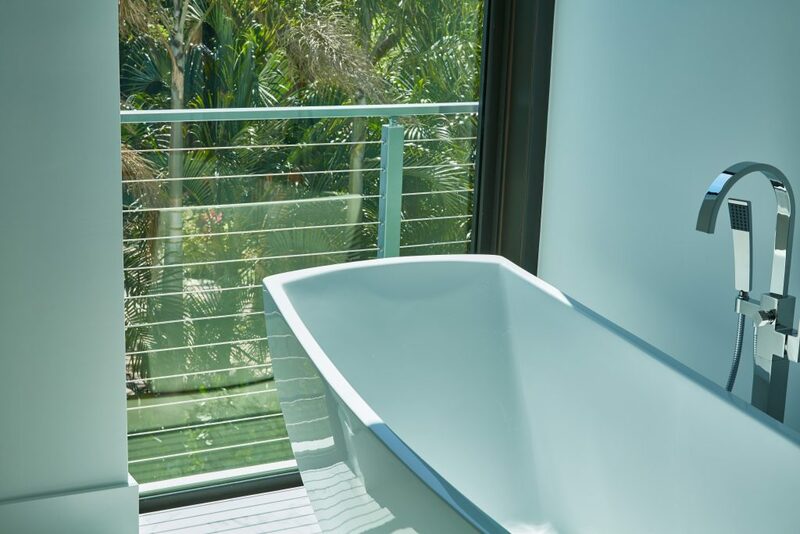 Additional railing runs the length of the small Juliet balcony made from surface mount posts outside the bathroom, keeping the space safe and enclosed, yet open for beautiful views. 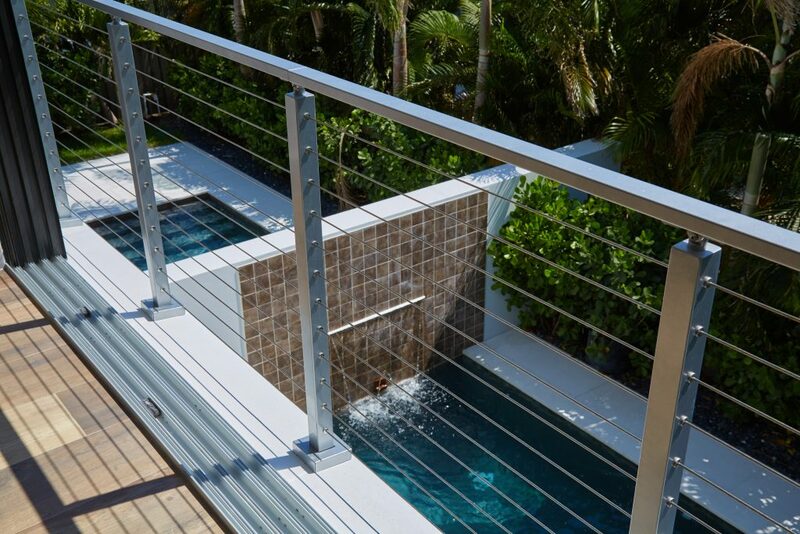 There’s no better way to enjoy the landscape than from behind the sturdy, elegant lines of cable railing.